The client is one of the world’s leading manufacturers of glass and glazing systems, with manufacturing and sales in all major countries. With a multi-billion turnover the client has four main business areas: building products, automotive, information technology materials and glass fibre. The automotive aftermarket (i.e. windscreen replacement) is extremely dynamic, very short notice and totally reliant on fast turnaround. And it is also extremely complex. In recent years there has been a proliferation of windscreen types within each make, model and year of vehicle. Identifying the right screen is a challenge in itself, not helped by a duplication of coding systems, European wide and national systems as well as the company’s own material master data. On top of that, the automotive aftermarket business is different in each country, taking in a whole variety of routes to market including wholesalers, distributors, big national fitters and small independents. Consequently, each country organisation had developed bespoke front office systems. This led to a fragmented technology approach that worked well in some countries, but not in all. In those more successful country businesses, the local customer service organisations were most resistant to any change to their own legacy systems. The company needed a centralised and standardised European-wide process, which would demonstrably outperform the best of the in-house legacy systems. The client’s SAP team decided they needed to build a comprehensive automotive aftermarket product catalogue that enabled the sales team to capture characteristics, modifications, comments or anything other information that would be useful to them. Plus they wanted a brand new sales order front-end that made use of this product catalogue. After extensive research into available technology platforms the team concluded that rival solutions to SAP weren’t flexible, advanced, or lean enough. So, according to the SAP Support and Project Manager “We decided to develop something slick, eye-catching, but very functional and effective. The sales order front end was absolutely business critical, as was the product catalogue maintenance. Our top priority was minimum clicks, maximum information”. The client’s in-house team was highly experienced with core SAP skill-sets, such as business process knowledge, SAP configuration, ABAP and SAP GUI-based developments. However, it needed a consultancy to help develop the front end. Plus they wanted that consultancy to cross skill and train its own staff in the latest SAP technologies so that they would not be reliant on external support in future. They chose Pivot, with whose technical team, they had already enjoyed a long and productive relationship. 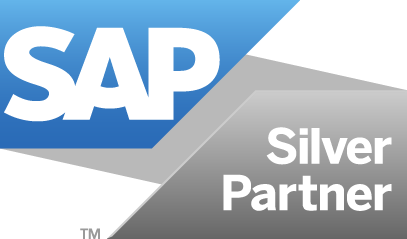 They knew Pivot had a proven track record in these new SAP technologies and always had a positive attitude and approach to skill transfer. They also knew Pivot consultants were always eager to engage with the users in the businesses. Anticipating user resistance to a potential new process the Pivot consultants worked closely with the business team in the most successful country, i.e. the local organisation most committed to the legacy system they themselves had built. Using an agile, iterative approach that included developing prototypes quickly, gaining feedback and making continuous improvements, they created a solution that not only met all the requirements, but gained the buy-in and commitment of these business users. The new system is now live in Germany, France, Holland, Belgium, Poland, Austria, Sweden and Denmark. Such is its success that it has been used as a global benchmark. A testament to how intuitive and easy to use the system is was seen very early, during day one of its launch in Germany, when the sales team reported for work early and started to use the system before they had been officially trained. This simplicity has resulted in a seamless roll across Europe with no teething problems. Using intuitive and sophisticated search facilities to pinpoint the exact parts the customer needs and any relevant accessories they might require, helping to increase the value of orders. Providing relevant fitting instructions and other key information customers need. The result has been happier staff, more satisfied customers and increased sales for the business in a time of recession.